Michael conducts research for the firms's US Large Cap Equity Strategy and chairs the firm's Private Client Investment Committee. 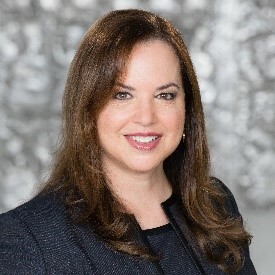 Prior to joining Stralem in 2010, he was managing director at J&W Seligman & Co., where he was the portfolio manager and head of the Seligman Small Company Growth Team. 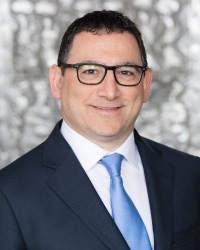 Michael joined J&W Seligman in 1999 from business school as an investment analyst and become portfolio manager in 2006. He had security selection responsibility in a variety of sectors including consumer, technology, industrials, financial and commercial services. Prior to business school, Michael was a manager for seven years at Andersen Consulting, where he worked in technology and strategy consulting in the Communications Industry Group. Education: BA, University of Connecticut Honors Program; MBA, Wharton School of the University of Pennsylvania. Prior to joining Cartica, he was an associate with Spectrum Equity, a private equity fund with $4 billion in assets under management that focused on buyouts and growth equity investments. Prior to his time at Spectrum, Mr. Kim was an investment banking analyst with Banc of America Securities in its Media & Telecom Group. Mr. Kim earned his BS from New York University’s Stern School of Business double majoring in Finance and Accounting, and his MBA from Columbia University Business School. Eddie Tam is the Chief Executive Officer and Chief Investment Officer of Central Asset Investments. Mr. Tam founded Central Asset Investments in April 20 05, and oversees the management of the firm, as well as the CAI Global Fund and the CAI Special Opportunities Fund. Primarily, Mr. Tam is responsible for top down asset allocation between strategies, asset classes, geography and themes. Under his leadership, the CAI Global Fund has an annualized return of over 18% since its inception in September 2005. The fund was ranked the #1 best-performing multi-strategy hedge fund globally according to Bloomberg (based on 5 year annual returns) and Barclayhedge in 2013. Mr. Tam has over 20 years of experience within the industry. Prior to founding Central Asset Investments, Mr. Tam was at Fore Research & Management as the Chief Portfolio Manager of the Fore Opportunity Fund. Before joining the buy-side, Mr. Tam worked with equity derivatives, first at Merrill Lynch, and then at Credit Lyonnais where he was most recently the Head of Sales and Marketing of Asian derivatives. During this time, Mr. Tam was credited as one of the pioneers in Asian equity derivatives. Mr. Tam received his MPPM from Yale School of Management in 1993, holds an M.A.Sc., a B.A.Sc. in Electrical Engineering from the University of Toronto, and is currently an active board member of the International Center of Finance and the Greater China Advisory Board at the Yale School of Management. In October 2010, Mr. Tam was named one of the 25 most influential people in Asian hedge funds by Asian Investors. Mr. Tam is a frequent guest on leading financial and business television channels, including CNBC and Bloomberg TV, where he shares his latest macroeconomic views and investment strategies with viewers. Central Asset Investments Central Asset Investments is an established Asia-focused multi-strategy investment firm. Founded in 2005, Central Asset Investments capitalizes on the firm’s Asian investment background and strength in equities, convertible bonds, and fixed income in order to provide investors with long term, superior absolute returns. The Central Asset Investments team consists of professionals in both Hong Kong and Shenzhen, working across portfolio management, research, risk management, investor relations and operations. Central Asset Investments was voted as the “Asia Focused Multi-Strategy Investment Firm of the Year” by Acquisition International in 2014. Central Asset Investments manages the CAI Global Fund and the CAI Special Opportunities Fund. The CAI Global Fund has an annualized return of over 19% since its inception in September 2005. The fund is ranked the #1 best-performing multi-strategy hedge fund globally according to Bloomberg (based on 5 year annual returns) and Barclayhedge in 2013. The fund was also voted “Best Multi-strategy Hedge Fund” in 2011, “Best Hedge Fund Asia-Pacific” in 2010 and “Best Hedge Fund Asia (Ex-Japan)” in 2008 by Asian Investor. Matthew Spiegel is Professor of Finance and Director of Graduate Studies at the Yale School of Management. His research ranges widely with publications in the areas of market microstructure, asset pricing, real estate, corporate finance, and experimental economics. His theoretical work has helped to explain stock market volatility, what factors lead to market breakdowns and how mergers within an industry impact the new firm’s competitors over time. His empirical work has included the development of statistical methods that can estimate the impact of local characteristics on housing returns and for identifying when and if a particular mutual fund will generate above market returns. These articles have won the ANBAR Management Intelligence Citation of Excellence, the Michael Brennan Best Paper Award and the Ross Best Paper Award. In 2015 his overall body of work was recognized with Eastern Finance Association’s Distinguished Scholar Award. Matthew Spiegel is currently the president for the Society for Financial Studies and its former vice president. He is also the Society's advisory chair for its annual Finance Cavalcade conference and the former executive editor of its journal the Review of Financial Studies. Professor Spiegel was formerly an associate professor, with tenure, at the Haas School of Business at the University of California-Berkeley. He is a former co-editor and founder of the Journal of Financial Markets, a former associate editor of the Review of Financial Studies, and a past member of the Nasdaq Economic Advisory Board.